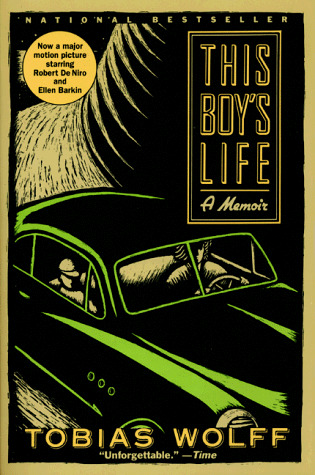 In this unforgettable memoir of boyhood in the 1950's, we meet the young Toby Wolff, by turns tough and vulnerable crafty and bumbling, and ultimately winning. Separated by divorce from his father and brother, Toby and his mother are constantly on the move. Between themselves they develop an almost telepathic trust that sees them through their wanderings from Florida to a small town in Washington State. Fighting for identity and self-respect against the unrelenting hostility of a new stepfather, Toby's growing up is at once poignant and comical. His various schemes - running away to Alaska, forging checks, and stealing cars - lead eventually to an act of outrageous self-invention that releases him into a new world of possibility. Thank you so much for sending this RABCK! I really enjoyed reading this one, it was especially fun since I was in the Washington area while reading it. I came back home to packages, but I can''t remember why I received it, but it''s a wishlist book, so thank you very much AM !